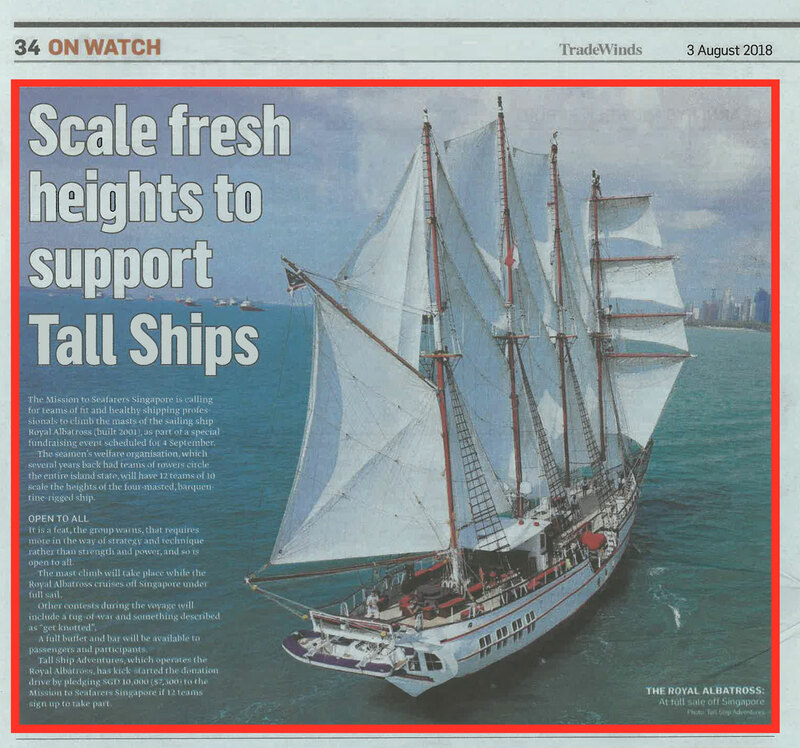 The Mission to Seafarers Singapore is calling for teams of ﬁt and healthy shipping professionals to climb the masts of the sailing ship Royal Albatross (built 2001), as part of a special fundraising event scheduled for 4 September. The seamen’s welfare organisation, which several years back had teams of rowers circle the entire island state, will have 12 teams of 10 scale the heights of the four-masted, barquentine-rigged ship. It is a feat, the group warns, that requires more in the way of strategy and technique rather than strength and power, and so is open to all. The mast climb will take place while the Royal Albatross cruises off Singapore under full sail. Other contests during the voyage will include a tug-of-war and something described as “get knotted”. A full buffet and bar will be available to passengers and participants. Tall Ship Adventures, which operates the Royal Albatross, has kick-started the donation drive by pledging SGD 10,000 ($7,300) to the Mission to Seafarers Singapore if 12 teams sign up to take part.